Sign up for Broadjam today to follow Mariami, and be notified when they upload new stuff or update their news! Young lovers of R&B music worldwide are fixated on the international born soulstress. Mariami has shamelessly taken the urban music scene into her own hands with her wildly powerful approach to Urban music. With a sensual voice and charm that sets her apart from the crowd, the young visionary is turning industry heads everywhere she lands. Beautiful lyricism and razor sharp vocals are easily bringing the NYC based songstress to the forefront of the Urban music scene. 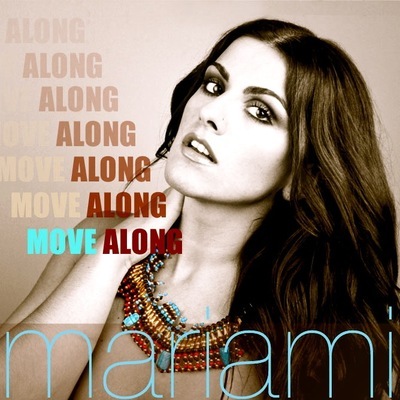 Her self-titled debut album shows a level of maturity that takes years of mastery, but Mariami is steps ahead of the game with her inventive lyrics and addictive hooks. Fans have compared her delivery to the passion heard in Sade's voice, but Mariami shows promise of making a bold impression on the music scene with her own seductive sound. NME Recognizes Mariami for her new single "Move Along"